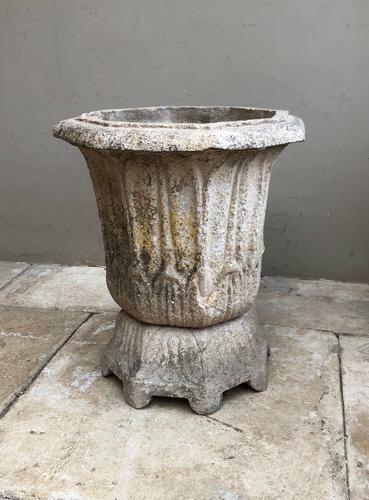 Quality early 20th Century Reconstituted Tulip Shape Garden Urn on its Original Plinth Base. Wonderful age related weathered patina. Heavy piece and so Collection or Courier UK £45 (Not including Scotland).